Addiction Treatment & Battling Addiction – One of the best tools that any recovering addict can keep at the ready is a strong sense of spirituality and a belief in a higher power. Recovery is by no means a simple or easy process, but it is possible for a recovering addict to survive and thrive, especially when they turn to the Bible in some of their more challenging times. The Bible contains answers and inspiration for any situation or feeling that recovery could bring about. 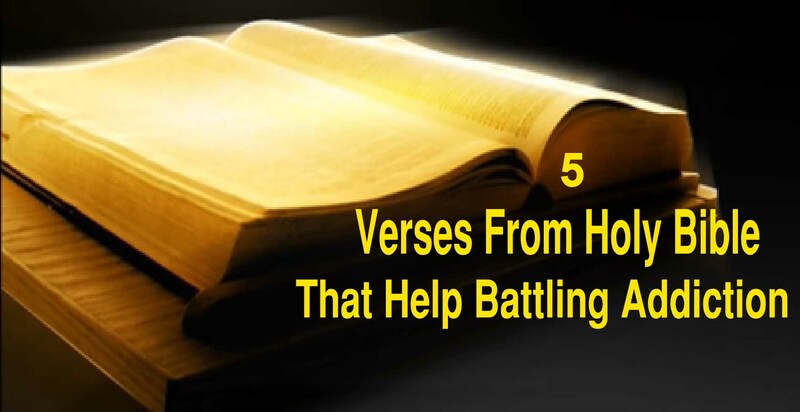 Here are some of the most helpful Bible verses that a recovering addict may turn to. This verse is a wonderful reminder of the importance of forging a relationship with God and the fact that with God, it is possible to overcome even the most harrowing of situations. There are many times in a recovering addict’s life when he must summon courage and find his strongest self. This is a reminder that obstacles are inevitable, but with God anything is possible. Getting sober means constantly facing the demons that are triggers to use. In the path to become a more healthy and happy person, it is important to continue to seek things that bring peace and joy and to make the constant conscious decision to avoid decisions, people, and situations that are toxic. One of the most effective and important things a recovering addict can realize is that he must let go of the idea that he has control over everything. The reality is, of course, that there are countless things in life that no one has control over, and rather than deal with these things by using, it is important to recognize or own powerlessness and to let God take care of us. With this faith will come the strength to lead the lives we want. It is important that in the quest to become a healthier and more evolved person, that a conscious effort is made to avoid judging both one’s self and others. There is no place for judgement in recovery, and those who keep an open mind about themselves and the people they encounter are much more likely to have a closer relationship to God and to enjoy all of the help and love that they relationship will bring. With God, a recovering addict can and will find health.